On the path to a healthier, happier life! From the second you walk in the door, our goal is to help you become pain free. The first step to that is a pain free check-in process! We will always send you the paperwork ahead of time so that you don’t have to spend time sitting in our practice, filling out forms. If you bring your identification, insurance card, and completed paperwork to your first appointment, you’ll be ready to see the doctor! Before you meet with the doctor, we always like to go over your insurance verification of benefits. We feel it is only fair that you know what will be covered by your insurance policy and what will be expected of you before your appointment officially begins! As always, if you ever have any questions, our patient experience representatives are always happy to help. It’s time! Your doctor will sit down with you (one-on-one) and perform a thorough examination where you will receive a specialized treatment plan. Our doctors use evidence-based care when determining what treatment options will be best for your specific pain. Once you and your doctor decide on the best plan for you, your treatment will begin! If you ever have questions or concerns along the way, our doctors will always have the time to sit and speak with you. After your treatment with your doctor, you will begin your work with our rehab specialists. We provide functional rehabilitation (FUNHAB®) for every patient because we believe that it is an essential part to every patient’s treatment. 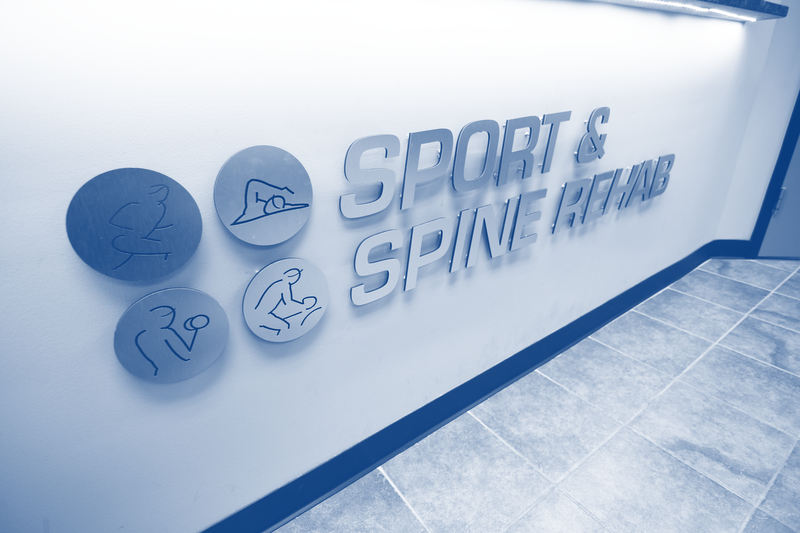 Our rehab specialists are devoted to accommodating an engaging chiropractic, physical therapy, and rehabilitation experience for each patient for the entire duration of their treatment plan. Don’t forget–this is where the FUN happens! That’s it! After completing your treatment for the day, you will meet with our patient experience representative to review your treatment plan and complete any payments. You are now 100% on the path to a healthier, happier life! Are you looking for a go-to place for excellent care and great conversation? Don’t hesitate to contact us! Our scheduling team is available, Monday through Friday, 7am to 6pm. Check out which of our 5 locations is closest to you!